Ciro Perrino has been Mauro Moroni's right hand man at Mellow Records, so it's not surprising that many of the lost relics released by that label include him and other members of the short lived group Celeste. 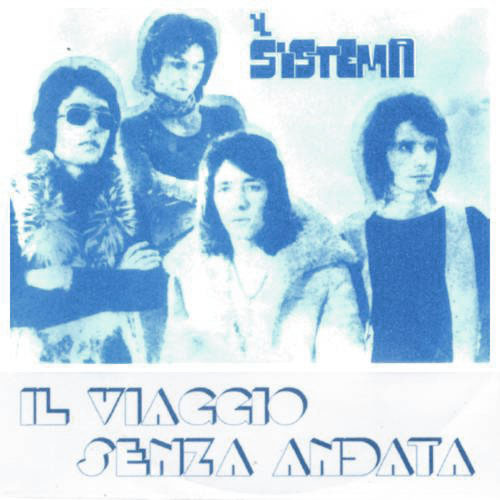 Il Sistema was one of the first of the many groups Perrino was involved in, and this CD (and limited edition double LP) is the archives of that group from 1969-1971. As a set of archives, the quality is admittedly variable, yet the music is often excellent especially on the longer tracks where the band stretches out improvisationally. This is early psych influenced rock, influenced by the Beatles, Procol Harum, Deep Purple, King Crimson, The Nice and contemporaries of the harder edged early Italians – New Trolls, early Balletto di Bronzo, and early Il Rovescio della Medaglia. The CD and 2LP sets both contain tracks the others don't, but I don't know anybody who would be that completist. Some excellent music, but certainly only for the fans of the late-60s/early-70s rock style overall.